PARIS (Reuters) – French lawmakers approved plans for a total ban on some widely used pesticides blamed for harming bees, going beyond European Union restrictions in a fierce debate that has pitched farmers and chemical firms against beekeepers and green groups. 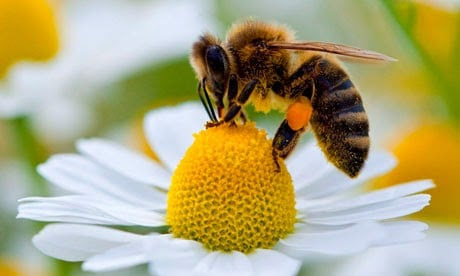 The EU limited the use of neonicotinoid chemicals, produced by companies including Bayer Crop Science and Syngenta , two years ago after research pointed to risks for bees, which play a crucial role pollinating crops. Farmer groups, meanwhile, say no viable alternatives exist and a full ban would put France at a disadvantage to other crop producing countries in the EU. The full ban was backed by France’s environment minister, who is also in favor of phasing out common weedkiller ingredient glyphosate in an EU review that has split member countries. Agriculture Minister Stephane Le Foll, who had warned a unilateral French move on neonicotinoids could hurt farmers in the EU’s biggest crop producing country, said he welcomed the deferred 2018 deadline. Le Foll has been piloting a wider French plan to halve pesticide use. But he put back by seven years the initial target for reaching that goal in the face of rising farm chemical use, partly due to weather patterns such as a wet summer two years ago that increased crop disease. Bayer said the parliamentary vote was a setback for farmers. “Some farmers are going to find themselves in a dead-end regarding crop protection … and could see their harvests fall by 15 to 40 percent depending on the crop,” it said in a statement.